Leroy: "Market and sales growth are not secure in the long term." 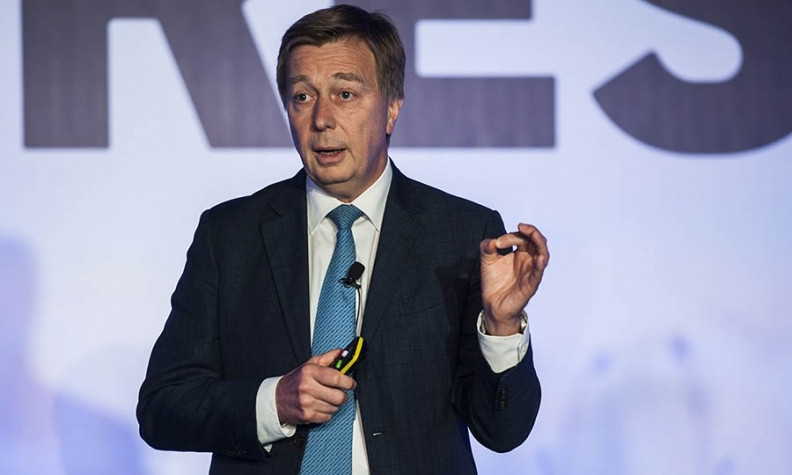 BARCELONA -- Toyota is open to collaborations and partnerships to counter the challenges posed by new mobility companies such as Uber, Executive Vice President Didier Leroy said. The perception that Toyota is lagging behind other automakers in developing a mobility strategy or that the company wants to do everything alone is incorrect, Leroy told the Automotive News Europe Congress here on Wednesday. "People believe that we are playing catch up. We are just following a plan that was started many years ago," said Leroy, a Frenchman who is automaker's highest-ranking European executive. In recent years, Toyota has started to work with high-profile tech partners including Microsoft and Nvidia and the company is involved in an array of collaborations, bringing greater visibility and media exposure, Leroy said. "We strongly believe this is something we can’t do alone due to the speed of change and due to the agility of many new competitors," he said. Leroy explained the thinking behind Toyota's mobility strategy, which the company calls "Ever better mobility for all." Noting that "everybody wants to be mobility provider," he said. "We are still proud to be a carmaker, but we know there are many changes in the world." As an automaker, Toyota has steady and sustainable growth, he said. "And we can say, 'It’s not so bad, we can be satisfied with that,' And we can explain how it will continue for years." But at some point, perhaps around 2030, the global auto market may start to decline, a consequence of emerging trends such as excessive traffic congestion, city access restrictions, regulatory developments, depletion of conventional energy sources, and new consumer behaviors and needs, he said. "Market and sales growth are not secure in the long term," Leroy said, "and obviously turnover and profit growth from manufacturing is not a certainty. So we have to change the business model." Rather than discussing programs such as car-sharing -- although Toyota will be involved in that -- Leroy described a broader model, under which future mobility must be "green and clean," safe, connected and convenient for all consumers. Clean mobility involves not only reducing emissions by 90 percent from 2010 to 2050, it also includes zero-emissions manufacturing, he said. "By 2050 we will not have any conventional engines in our lineup," Leroy said. Vehicles would be powered by an array of technologies, including hydrogen fuel cells and batteries. Toyota has championed fuel cells as the best zero-emissions solution because they have the same range and fill-up time as internal combustion engines, he said, but the company is “not forgetting” electric vehicles. In 2016, it created an in-house center to develop batterynelectric vehicles that draws on Toyota Group companies such as Denso, Aisin and Toyota Industries. To spur connectivity, among other initiatives the company has started Toyota Connected, which is a collaboration with Microsoft. It has created platforms for mobility services such as car-sharing and another, Toyota Smart Center, for data and communications. It has created a second company, Toyota Research Institute, that works with artificial intelligence for autonomous vehicle safety and robots to develop “indoor mobility” services. The company is also focusing on mobility for the aging and disabled populations, groups that Leroy said had been left out of the conversation. In short, Leroy said, "Toyota is reinventing itself." Many years ago, he noted, Toyota was a loom company and then moved to being a car company. “We are absolutely convinced that we are exactly at the same turning point now,” he said. Today, 92 percent of Toyota’s growth is based on manufacturing and sales, and just 8 percent on services. Over the next 20 or 30 years that growth will be much more balanced, Leroy said.